A strategic custom diet can serve as a vital research tool. This post will discuss how custom lab animal diets are fed for a defined purpose, such as nutrient control, inducing disease, or as a dosing technique. Read on to find out how a custom diet can answer your research question and make your study more impactful. With custom diets there are numerous possibilities for macronutrient and micronutrient adjustment. For instance carbohydrate adjusted diets are used to differentiate the effects of different simple sugars, such as sucrose versus glucose and fructose. Fiber and resistant starches are often used to investigate changes in intestinal microbiota. Diets with low or high protein levels are helpful to study malnutrition and gestational protein restriction. Fat adjusted diets can be beneficial in studying obesity or to examine effects of different fatty acid profiles by adjusting fats that contain different proportions of saturated, monounsaturated, or polyunsaturated fatty acids. Custom diets can also be formulated to be deficient in a given vitamin or mineral so that researchers can add back a very specific amount of a given nutrient. Folic acid deficient diets have proven a useful tool in oncology research. Adjusting vitamins and minerals can be helpful in studying nutrient balance in processes such as bone development. Mimicking human dietary intake for studies such as Non-alcoholic fatty liver disease (NAFLD) and Nonalcoholic steatohepatitis (NASH) by adjusting both macro and micro nutrients is another useful tool. For instance, the Western diet, Mediterranean diet and Malawi diet are rodent diets which mimic these human diets for research purposes. Custom diets are often used to induce disease by adjusting nutrients or by adding specific compounds. Several ‘Western’ style diets attempt to represent average American macro and micro nutrient intake. Other Western style diets include high risk ingredients such as milkfat, sugar and cholesterol to study conditions like obesity, fatty liver disease, atherosclerosis, and metabolic syndrome. A strategic custom diet can serve as a vital research tool. TD.88137 is a common Western style diet. It can induce both obesity and insulin resistance, but requires long term feeding to induce liver disease. Alternative diets such as methionine and choline deficient diet, TD.90262, can induce liver inflammation and fibrosis in less than two months; however, obesity and insulin resistance do not develop; in fact, body weight loss is much more likely to occur. Therefore, it is important to consider your model, timeframe and phenotype when choosing a custom diet. Custom diets can also be used to introduce compounds which induce disease. Cuprizone causes demyelination of the central nervous system and can be useful in studying diseases of myelin dysfunction such as multiple sclerosis. Adenine or oxalate containing diets are common to induce kidney disease and cholesterol is added for studies of atherosclerosis. Including a compound in a diet is an example of using diet to induce disease and also as a dosing technique. 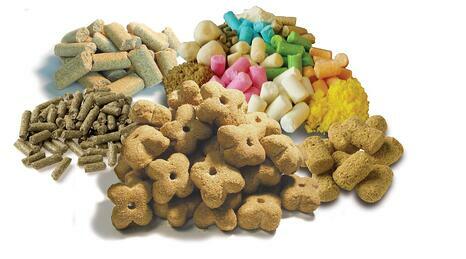 Dosing by diet is a well-established practice that can overcome welfare concerns and technical limitations. It requires no animal handling – simply place the diet on the cage top. Alternative dosing techniques (such as dosing by gavage or IP injection) require training and there is a risk of adverse effects. Dosing can also be done via water; however, this can lead to changes in water consumption. Diets with doxycycline and tamoxifen are the most common examples of diet as a dosing technique, but we also work with hundreds of customer supplied ingredients each year. When adding a compound to a diet, there are special considerations, so it is important to consult with a nutritionist to discuss factors such as compound purity, translating doses between species and diet processing steps. Given that custom diets are an important asset for researchers, it’s important to understand all the variables that can impact a study. A nutritionist can serve as a valuable asset to share expertise and help identify a custom diet that best that fits your research question and animal model. In addition, a nutritionist can provide logistical information, such as the diet form, irradiation needs, and lead time so you can plan accordingly and choose the right diet to support your study. If you have any further custom diet questions, speak to one of our nutritionists.